Smart phones have revolutionized the communication industry. Consumers can call, text, video chat, conduct banking transactions, surf the internet, watch movies and more all from the device they carry in their pocket. Now, thanks to the internet of things (IOT), your home can be monitored and maintained with a few simple clicks. Home automation isn’t a new phenomenon. For the last several decades, home owners have been able to control their lighting, select appliances and security systems via their phone. Today’s iteration of home automation allows homeowners to control virtually every aspect of their home from their smart device. Imagine a home that starts the coffee in the morning and raises the temperature in the bathroom five degrees before you wake up on cold mornings. That same home can alert you to unusual activity within your house, such as a temperature change, potential water leak or break in. From security to convenience, your house has just unlocked a whole new level of being ‘smart’. 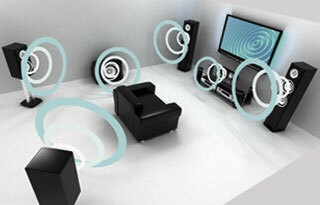 Home automation encompasses a range of devices and processes within your home. It gives you control of these “things” through your mobile device, from anywhere in the world. There are two basic levels of home automation: stand-alone and comprehensive. Stand-alone devices are individual features that can be controlled through separate apps on your smart device. These can include thermostats, sprinkler systems and security systems. In larger applications, such as commercial office buildings, lighting, heating, and monitoring systems could be controlled from a centralized location. Recent developments in technology have expanded the possibilities for controlling these basic devices, making it more widely available. Comprehensive automation includes the control of specific devices, but also engages other features. Home owners have begun to integrate electrical systems, including switches and outlets, into their automation process. This gives the homeowner complete control over nearly every component in their home. Automation works by connecting smart devices and appliances to a local area network, either through an Ethernet connection or a WiFi network. These internet-enabled devices are typically monitored or controlled through a central device in the home, which can be accessed through an app on your smart phone or tablet. The power of home automation is found in the ‘automation’ process. While there are fantastic options for controlling devices remotely, automation gives you the next level of smart technology. Home owners can set up automated tasks that can happen at a prescribed time, without any user interaction required. Your automation can control time-related tasks, such as turning the lights on (or off) at a certain time. It can use smart outlets for closing the blinds in the afternoon to prevent too much sun from entering. You can also establish event-specific options, such as having all the lights in the house turn on when the security alarm is triggered. 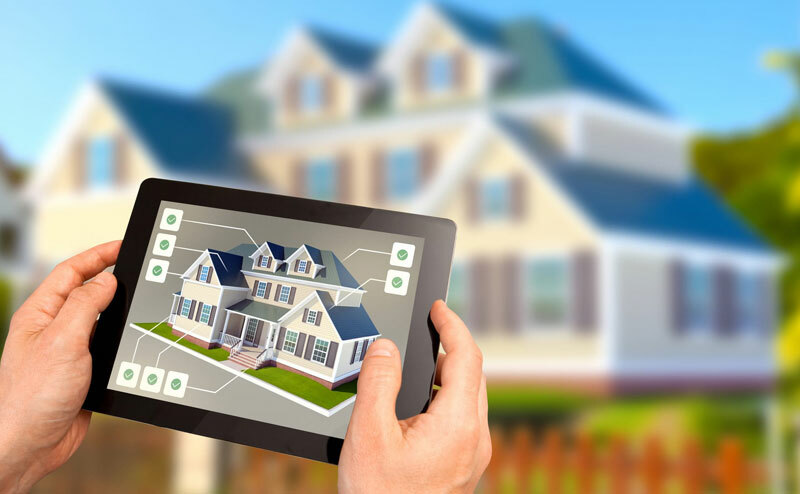 Once you begin to realize the power of home automation, you can develop a series of events that can make your life seem as though it is straight out of a sci-fi novel. The main element of home automation is the control homeowners have from anywhere in the world. Depending on the set up of your automation system, you can view, monitor, and control what happens in your home. You are able to view the activity of your home at any point. Want to find out when the front door was opened? Check your home’s automation log. Think you left the lights on? Find out, and then turn them off, if you did. If you connect cameras to your home automation system, you can view real-time feeds and find out what is happening at home. (You may finally have proof that the dog is hiding the cat’s toys!) See who is ringing the doorbell, when the garage door opened, or any other information that you may need about what is going on while you’re away. Your smart home can not only track the activities that happen, it can notify you of events based on your specifications. Receive a text message alert when the front door unlocks, so you know when your child arrives home from school. Away on vacation? Set up an alert for any motion detected in the house, alerting you to a potential security issue. No more coming home to a flooded house, an alert notification system can give you a warning when water usage is unusual. Your home has already started to use ‘smart’ technology, even if you don’t realize it. Temperature controlled thermostats recognize when the air temperature has reached your specified degree, then either turns your HVAC system on or off. With home automation systems, you have maximum control, not only over the temperature, but over all energy usage in the home. Use automation to program your light usage, so you don’t ‘leave the light on’ all day. Program your electrical outlets or other devices so you aren’t wasting electricity while you’re gone, saving both power and money. Automate your sprinkler system so that it won’t turn on when it rains, or to only run on specific days and times. You can establish a series of processes that automate tasks with one simple tap on your smart device. Automate a series of events to happen before you arrive home: regulate the temperature, turn on lights, open the garage door. Set up a different one to happen when you leave: turn off lights and appliances, lock the doors, turn on the alarm. The inclusion of devices such as Google Home, or Amazon’s Alexa, has given home automation systems even more possibilities. Now you can have your favorite station playing in the kitchen as you walk in the door, add items to your grocery list and more. Feeling overwhelmed with the idea of setting up a home automation system? The experts at Clarion AV can help! We can help you determine which systems would best meet your needs, install, and program the system, and teach you how to operate it!